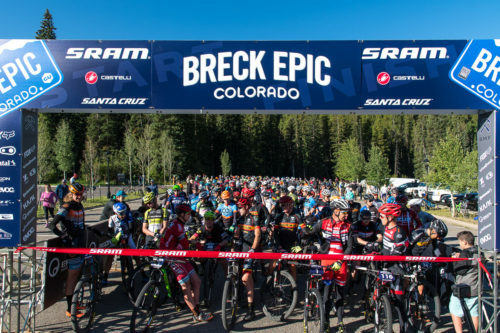 The pro/open field in this year’s Breck Epic is stacked with talent, including the current U.S. marathon national champion, Todd Wells and his teammate Russell Finsterwald. Drew Free dives into the first descent, Aspen Alley, with Carl Decker on hot on his heels. 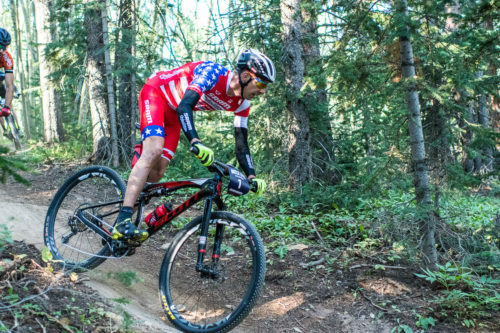 Coming off his dominating win at the Leadville Trail 100, Todd Wells has his eyes set on the bright pink Breck Epic leader’s jersey. After catching a late flight from his sixth-place finish at the Windham Pro XCT, Russell Finsterwald rode away from the pack early, but made a wrong turn with his teammate Todd Wells that landed them in 2nd and 3rd behind Vincent Arnaud. 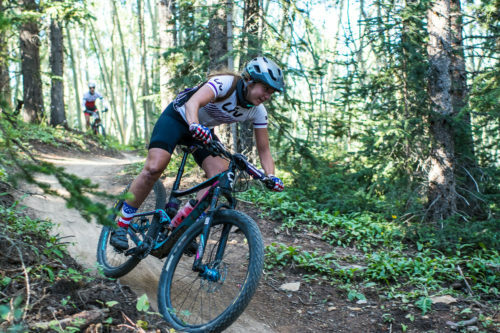 Kaysee Armstrong rode to second in the women’s pro/open category, 6:43 behind Amy Krahenbuhl. Racing for Rolf Prima, Emma Maaranen finishes third in the 6 day women’s pro/open category just 10 seconds off of second place Kaysee Armstrong. 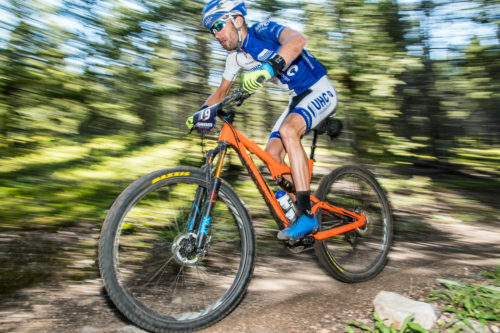 Chris Jones, of United Health Care Cycling, decided to swap out the skinnies for knobbies and is fitting in quite well at the Breck Epic. 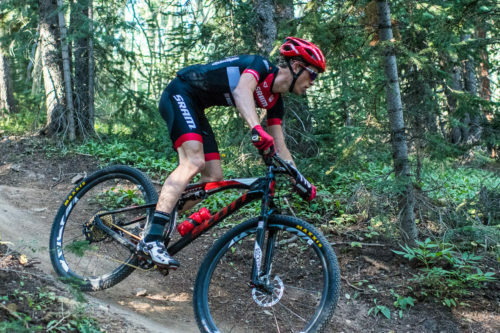 He finished 9th in 2:55 for the first stage of the week. 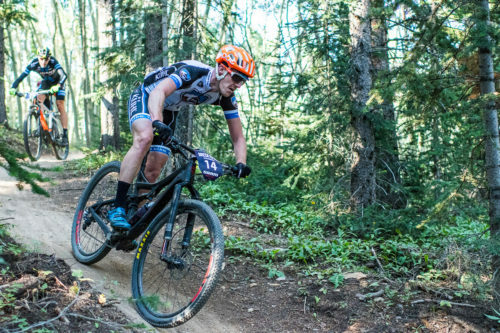 Team Topeak-Ergon rider, Bryan Dillon finishes the first stage of his 3 day open men’s race in first place with a 5 minute lead on second place after stage 1. 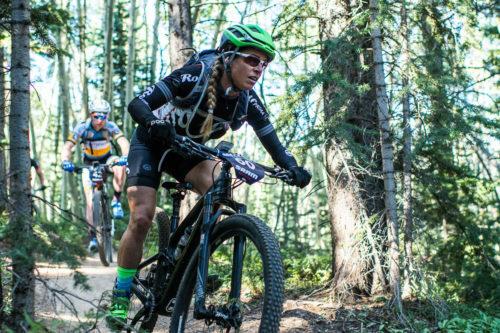 This entry was posted in MST Time Zone, News, Ultra Endurance, XC Racing and tagged Breck Epic, Endurance Racing, Kaysee Armstrong, Stage Racing, todd wells by Matthew Williams. Bookmark the permalink.